As the 2014 football season comes to a close in Australia, the injury profiles come out so that athletes and managers alike can take stock of how the game has affected its players over the past few months. A SCENAR practitioner, has been treating Parramatta Eels athletes with SCENAR therapy in combination with physiotherapy for the past two years. The Parramatta physiotherapists now also use these devices and there has been a notable improvement in treatment results. Throughout the season, many professional athletes deal with trying to find effective pain management that won’t interfere with their performance on the field. SCENAR therapy is non-invasive and does not involve the use of any drugs. Coupled with physiotherapy, the SCENAR device uses electrical stimulation to help heal sports injuries and realign the way the brain sends messages. Endorphins are released which provide natural pain reduction and give the athletes a better way to heal. 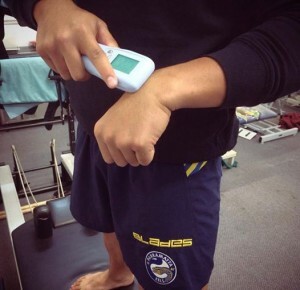 Muscle stimulation through the electrical impulses of the SCENAR device gives the athlete the opportunity to recover from sports injures faster and without any kind of therapy that will affect their performance. We encourage other practitioners to always find new ways of treating sports injuries and other fitness related pain problems. There was a significantly lower percentage of injuries on the final injury profile for this season. 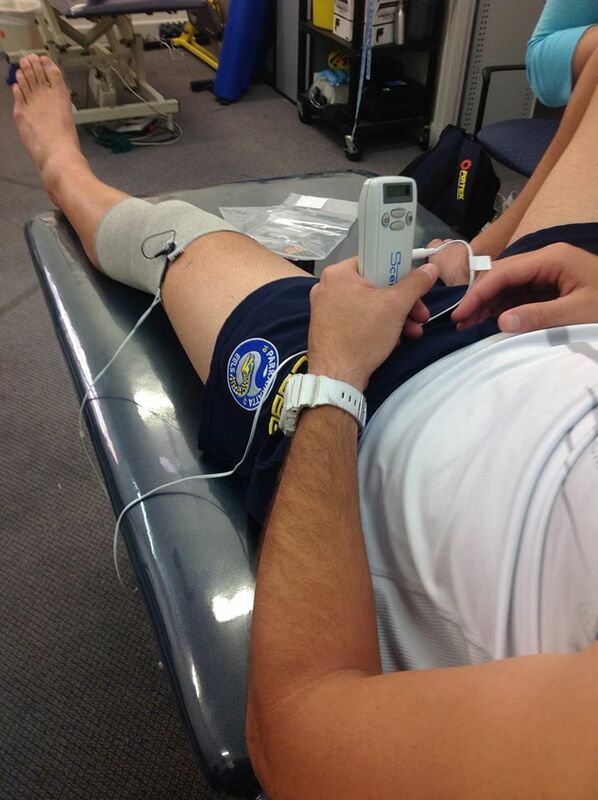 Muscle strains (which accounted for most injuries), hamstring injuries, and several other slightly more serious conditions were treated with SCENAR alongside physiotherapy with very good improvements and no side effects from the treatment. Your SCENAR practitioner can show you how to use the device at home so that you can not only enjoy the natural pain reduction that comes with this therapy but you can also improve energy balance and decrease stress. You’ll be able to make your endorphins work for you and have your pain relief feel as good as that feeling you have while you were still working out. How Can Other Practitioners Help Athletes? Tell the athletes in your life and people you know about the benefits of RITM SCENAR therapy and how it can provide pain relief without drugs. With this type of therapy, trauma prevention is easier, and athletes won’t have to worry about being out for a whole season due to serious injury. Muscle strains and minor injuries treated by SCENAR get better with each treatment, making the body stronger and less likely to break down upon future injuries. As an athlete who learns about using the SCENAR device at home, you can enjoy its benefits wherever you go. Athletes travel and, as Chris Mortensen encourages the practitioners he advises, there are always new and innovative ways to treat chronic pain and sports injuries that we should be looking into all the time. With SCENAR, your athletic career is a lot safer and a lot more pain free! Find out more today at www.scenar.com.au.